Yee haw!!! It's the Farm Street Opry with guest performers Curtis Barfield, Abigail Taylor, and Margie LeBlanc! 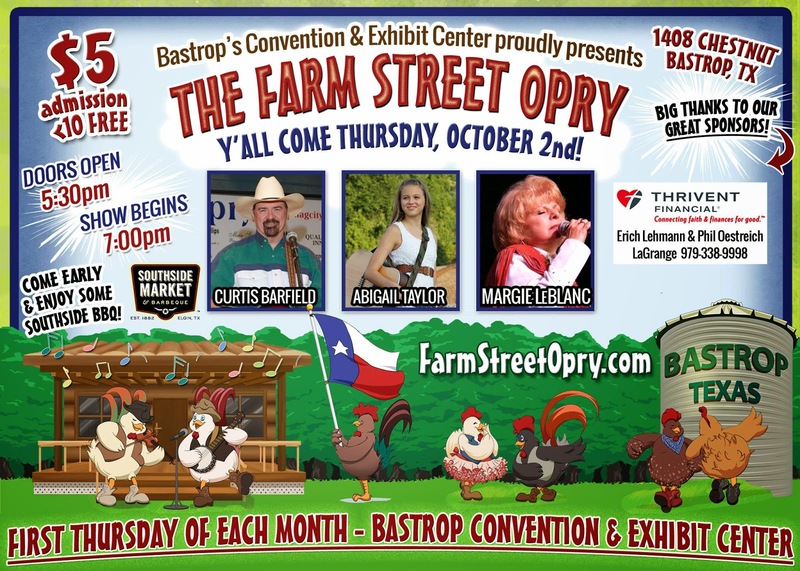 Join the fun on Thursday, Oct. 2nd at the Bastrop Convention & Exhibit Center. Doors open at 5:30pm, and the show starts at 7:30pm. Tickets are $5 each for ages 11 and up. Children age 10 and under get in FREE! Show up early for delicious food from Southside Market & Barbeque.